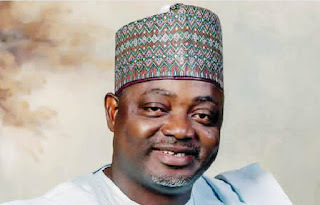 Malam Lanre Issa-Onilu is the National Publicity Secretary of the ruling All Progressives Congress (APC). In this interview with journalists in Abuja, the APC spokesman speaks about the 2019 general elections, the role of the security agents, and the tussle over the leadership of the coming ninth National Assembly, among other burning issues. You saw two sitting APC governors in Bauchi and Adamawa states battling to regain their seats as they faced questionable defeat from the opposition PDP.� There are a number of issues we should pay attention to in this scenarios. One is the obvious and increasing sophistication of the voters. You could see voting patterns that showed the voters have become aware of their power to choose. You could see deliberate voting patterns, such that; in many states, the voters were targeting contestants with votes. In other words, you could see voters in a particular environment voting for candidate A in APC and candidate B in another party. What this means is that ballot papers are becoming instruments of political justice. Politicians can no longer take electorate for granted when they are in power. Voters understand the power of the ballot, more so; they understand that ballot is an instrument to punish political office holders they believe have performed below expectations. The PDP has gone to the Tribunal to reclaim what Alhaji Abubakar Atiku has repeatedly called his stolen mandate. Are you bothered about the possible outcome of the court process? Far from it! Why should anyone bother about such fallacious allegations contained in Alhaji Atiku�s affidavit? That is a theatre of the absurd. Well, there is something to laugh about in its absurdity. Is it the purported figures PDP claimed to have fetched from INEC server? Is it the figures he awarded himself? Well, to be fair to him, he extended his generosity to us in APC by awarding extra one million plus votes to our over 15 million votes. Of course, we do not need such concocted figures. We are satisfied with what the electorate voluntarily gave us during the elections. Your party, APC, appears to be heading into another crisis over the election of the leaders of the 9th National Assembly. Many lawmakers are already kicking publicly and insisting they will resist the imposition by your party. How will your party handle this imminent crisis? There appears to be a lot of ignorance in the polity. I think it is because we have seen anomaly going on for too long under the PDP that we begin to see it as the new normal. What the National Working Committee of the party is doing is in line with international democratic practice. Let me provide some education on this matter. What we practised in Nigeria is called Presidential system of government, which is fashioned after the American Presidential system. It is different from parliamentary political system we practised in the First Republic, which was copied from Britain. In party politics as we have in Nigeria, the only recognised vehicle for electoral contest is political party. Our constitution does not have provision for independent candidate as at now. What this means is that anyone who wishes to contest to become a senator or member of the House of Representatives or for any other political office for that matter must be a member of a political party. It goes without saying, therefore, that such a person has invariably subscribed to the ethics and beliefs of such a party. Our progressive beliefs and worldviews in APC are further expressed through our manifesto. So, we conduct primary elections to select candidates who would be given our party�s tickets to represent us in the National Assembly towards the fulfilment of our manifesto. Do not forget that the electorate voted for us based on the promises contained in our manifesto. In other words, every person elected on the ticket of APC is a trustee of our collective mandate as a ruling party. By association and membership, he has accepted to be part of the delivery of our promises wherever he finds himself; whether he finds himself at the National Assembly, in the state, local government or the Presidency. So, you are saying the National Assembly cannot claim independence? This is contrary to the Principle of Separation of Powers or what do you think? I have read many otherwise experienced politicians mixing things up in this regard. Let me state clearly that the National Assembly is not a political party. So, it is an abnormality for the National Assembly or the Senate or House of Representatives as institutions to be in opposition to the executive. The opposition in the National Assembly is PDP and other political parties that have members elected into legislative arm. The members of the National Assembly elected on the tickets of the APC cannot be in opposition to their own government. They are part of the ruling party. They are in the National Assembly to help the ruling party deliver on its mandate. The APC lawmakers are the legislative arm of the ruling party, APC. And because they are in the majority in both the Senate and the House of Representatives, they automatically produce the leaders of the two chambers. Let me emphasise the word produce, not elect. The rule allows for simple majority and the APC has that already. You may need to ask those who are posting unfounded opinion about this issue: �when did they see the Democrat and the Republican in the United States� congress conducting elections as a unit to choose leaders?� If the Democrat is in the majority in the House of Representatives in the US, they automatically produce the Speaker and other leadership positions that belong to the majority party. The Republican would also produce leaders for the positions that belong to the minority positions. If the situation were reversed, then the leadership positions would be reversed in like manner.� The respective party normally handles this matter and they would return to the chambers to announce their respective new leaders. The process of election in the chambers, therefore, becomes a mere formality. As a party in the majority in the two chambers, the APC does not require the support of the the PDP members to elect the Senate President, the Speaker and the other principal positions. Just as the PDP does not require the support of the APC to elect the minority leaders and those other positions that belong to the minority party. This is the convention. What will the APC do to members like Senator Ali Ndume and Senator Danjuma Goje who are hellbent on going against the party�s position by contesting for the Senate President position? You have a similar situation, if not worse, among the APC members in the House of Representatives? We are not panicky at all. First, we have enough time for discussion. Every member of our party is important. So, we would continue to hold consultations. We are a party that advocates change. When people have got used to abnormality, you must be on top of the game to cause a change. There would always be resistance, no matter how positive the change is. It is important to know that we have a president who is a thorough party man. He is the backbone of the many positive changes we are witnessing in the country now. He is resolute. Driven by uncommon patriotism. He is taking our country to the next level.